I tend to stay away from controversial topics on my blog, but in real life, I’m not great at keeping my mouth shut. There have been a slew of new products aimed at breastfeeding parents in the past couple of years- changing pads that weigh your baby, breast milk test strips, a Measure My Milk home breastmilk assessment kit (thank goodness this one was yanked by the company). Often these products claim to increase breastfeeding rates and help nursing parents; and in the United States, we’re really hooked on gadgets and apps and technology. I get that. I’m one of you, and I’m attached to my phone. I, too, have used a breastfeeding app to log in feeding times, ounces pumped, and diaper output. 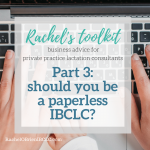 But I am very worried that families are wasting lots and lots of money on items that they don’t need in the name of breastfeeding- and then having trouble finding the cash to pay for an IBCLC if they run into breastfeeding difficulties. There’s a new product out there that really concerns me, and I need to talk about it. 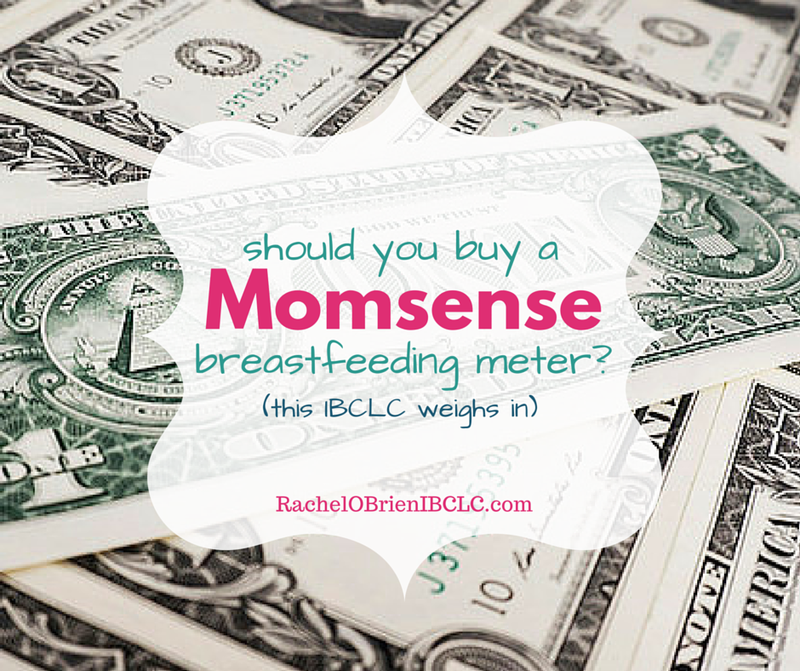 Have you heard of the Momsense breastfeeding meter yet? Momsense is a pair of headphones with an attached sensor that gets stuck to a baby’s jaw/neck before a feeding. It plugs into your smart device and their Momsense app. The product claims to tell you exactly how much your baby eats at each feeding, plus or minus 5 cc’s, using patented technology. It’s $89 USD, but if you buy it right now they’ll give you a $15 Amazon gift card if you give them product feedback. Guys, ladies, folks, y’all… I have concerns. My biggest issue is the assumption that counting swallows is an accurate way to measure breast milk intake. Thanks to a 2012 study by Denise Cote-Arsenault and Thomas McCoy, we know that swallow counts are NOT a reliable way to measure milk intake in breastfed babies. Their study showed that swallow rate only accounted for half of the variation in milk intake from baby to baby. When they added infant age to swallow rate, they accounted for 68% of breast milk intake- this means that they still couldn’t account for 32% of breast milk intake using swallows and baby’s age. The Momsense people claim that their milk intake measurement is accurate +/= 5ccs, which is about .17 oz. How did they come up with their measurements? They claim to have hosted “hundreds of moms” in their “lab” and recorded baby’s swallows, as well as weighed these babies before and after eating. They used this data to build the app. How did they weigh the babies? Was the scale calibrated often? How sensitive was the scale? Were the babies weighed wearing the same clothing each time, were they naked, were they diapered? The company has been approached and asked to share this data so it can be reviewed, but they claim it’s proprietary and won’t release it. When you hear a nursing baby swallow, you don’t know what they’re swallowing. It’s probably breast milk, but it could be spit. It could be air. I have personally witnessed babies who have a convincing session at the breast- audible swallows, reasonable breastfeeding duration, and are satiated after nursing and self detach- yet when weighed, the scale shows that there was a negligible amount of milk transferred. If my scale wasn’t with me I would have assumed these babies were full-bellied based on their audible swallows and their satiety post-feed. If this product does not accurately measure milk intake- as I assume it does not, though I would be thrilled if the company released their data and methods and proved me wrong- and parents are relying on the Momsense to tell them whether breastfeeding is going well, this could certainly put babies in danger. Let’s talk about another concern I have. To use this product you need to put an adhesive sticker on the sensor, put on the headphones, turn on the app, switch your device to airplane mode, plug in the headphones, attach the sensor to your baby’s jaw in the exact correct spot, and start on the app. Let’s be real here- babies, newborns particularly, are not patient. We teach new parents to recognize early hunger cues- rapid eye movement, sleep-rooting, stirring- so that they can latch the baby at the earliest signs of hunger. If you wait until a baby fusses or cries to nurse them, the odds of getting them successfully latched plummet. 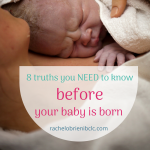 It’s almost impossible to get a crying newborn to latch! The odds of a parent getting this device all plugged in, started up, glued on and turned on in time for the baby to happily nurse without flipping out seem awfully low to me. Instead I can see a parent getting the baby nursing and THEN getting the Momsense working- which means you’d miss the recording of the beginning of the feeding, making the milk intake estimate even less accurate. You don’t need this thing. And the company even knows you don’t need it. One of the the Momsense press releases says “Momsense is an innovative company whose founding team members include doctors, lactation specialists, researchers and mothers. ” I checked every team member Momsense lists on their site. None of them are IBCLCs. 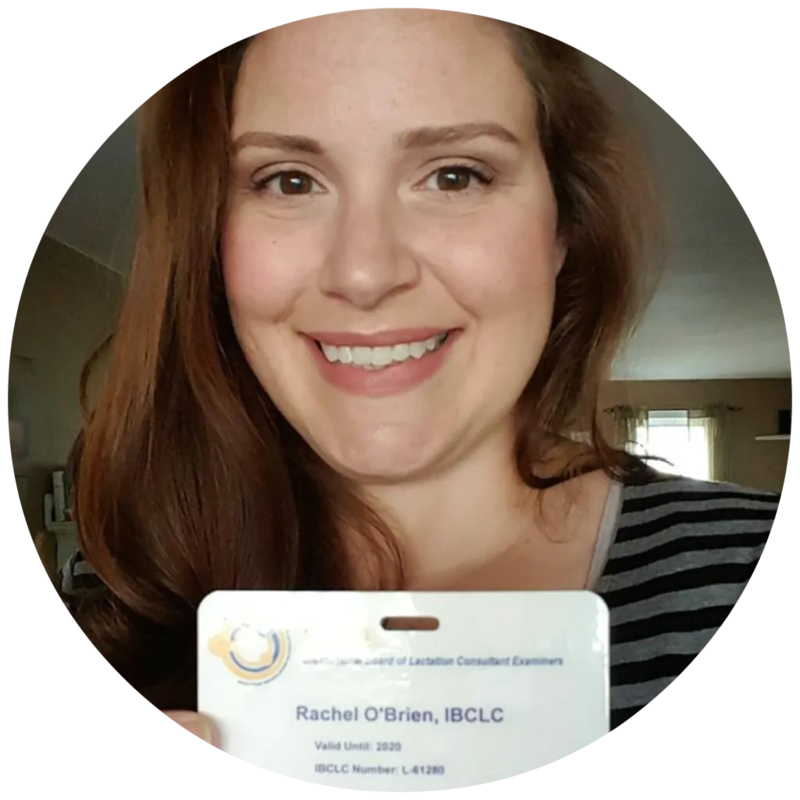 Don’t you think that when you develop a breastfeeding gadget or tool, you should have at least one IBCLC on your team? To be perfectly honest, if the Momsense didn’t claim to tell parents how much milk was consumed at each feeding I’d think it was super cool. 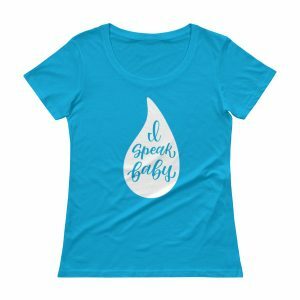 Yes, of course it’s reassuring to listen for swallows when your baby is nursing, and I teach all my clients to hear the small “kuh” that newborns make when they swallow. If a client wanted to purchase this just to better hear the swallows, and to watch a really cool fractal-y graphic depicting their baby’s swallows I’d recommend the Momsense. But estimating milk intake? That’s a dangerous game, and with no proof that this device is accurate, I can’t recommend the product. As an aside to the Momsense folks: I welcome the opportunity to try out your product on nursing parents along with pre and post-feed weights on my accurate, sensitive, calibrated baby scale. I will gladly, publicly report my findings. But I will not purchase the device to test it. Breastfeeding families don’t need this gadget. I can see it being kind of fun to have and plug in once in a while, but there are better things to spend your $89 on- and much better ways to tell how much breast milk your baby is getting. 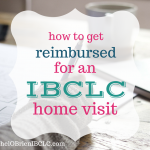 Consider putting that $89 aside just in case you need to pay out-of-pocket for an IBCLC visit, or heck, spend the money before your baby comes on a one-on-one prenatal assessment and class with a lactation professional who can help you to meet your breastfeeding goals. The first time I saw this product it was accompanied by a curse filled social media rant, it made me so angry! Thanks for the much more thoughtful and appropriate commentary! Thank you for your insight. I was back and forth about purchasing this but after reading your blog realized it would be a lot of work to set up. With a toddler and a newborn I think I need the most convenient and easy ways to do things rather than make things more complicated. Thank you. You’re welcome! I agree with you that it’s entirely too fiddly for someone with a newborn and a toddler! 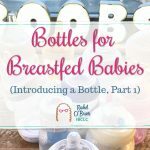 Remember that breastfed babies should be back to birth weight by 2 weeks of age, should gain ~1 oz/day, and should poop at least 3 times a day in the early months. If you’re hitting all those requirements there’s no reason to worry about how much your baby is getting! I think your critique of this product is really fair. It sounds really difficult to try and integrate headphones and an app quickly, and at the exact moment a newborn is ready to feed. Another winner! Thanks so much for writing these, Rachel! Fabulous write-up, thank you for taking the time to do this! I hope moms far and wide read this and don’t fall prey to yet another gadget.